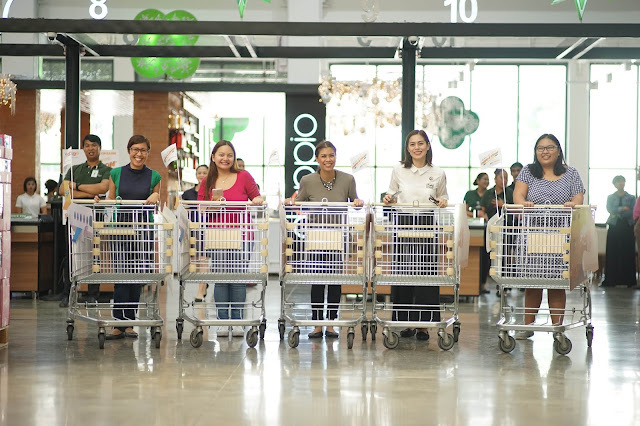 Rina's Rainbow: The Swipe-A-Thon Challenge with Unionbank Visa and Cebu Pacific GetGo! Second, our total bill had to be P10,000 . Maximum of 20 items. Next, we would all be using our new co-branded Cebu Pacific GetGo Visa Credit Cards by UnionBank. It’s a new amazing series of credit cards that I believe is now the easiest way to earn points to #FlyforFreeFaster to your favorite Cebu Pacific destinations! 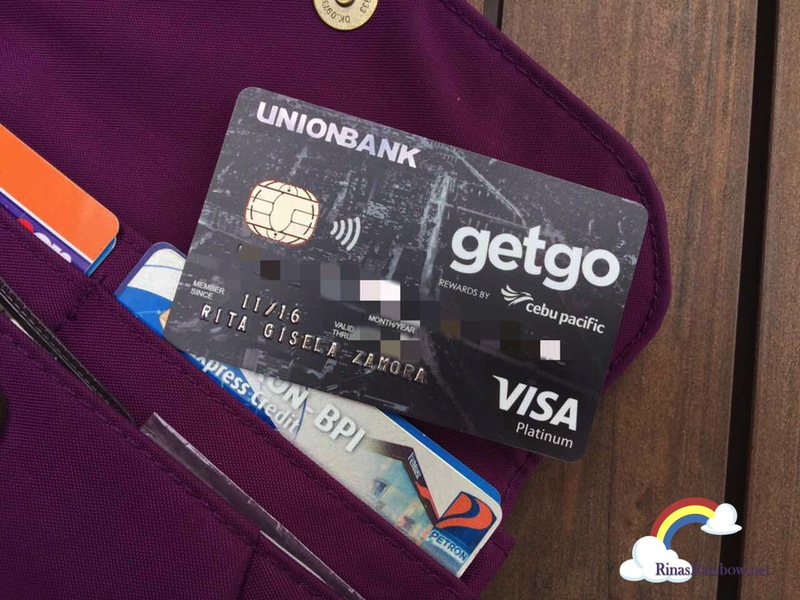 Imagine, everytime you use your Cebu Pacific GetGo Visa Credit Card by UnionBank, you DIRECTLY get GetGo points and are AUTOMATICALLY credited to your GetGo account. 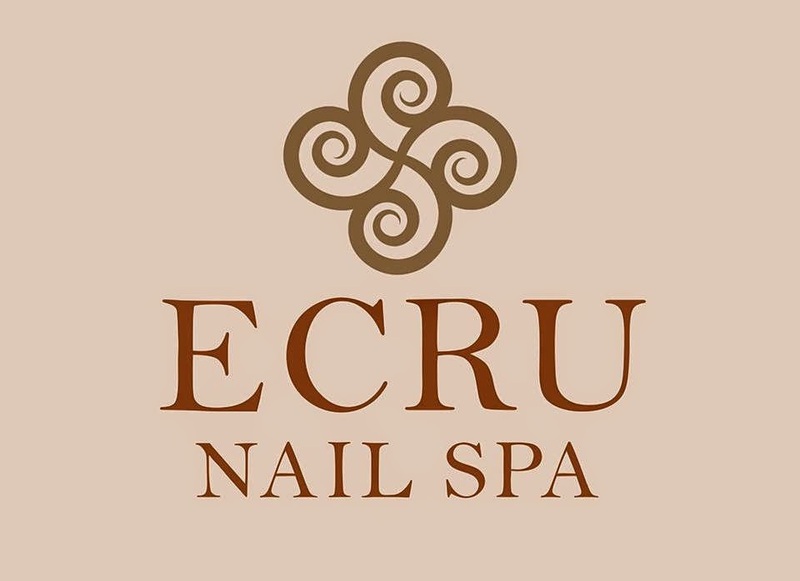 In other credit cards, you’d have to manually call them to ask your points to be converted. Not with the Unionbank GetGo Visa! 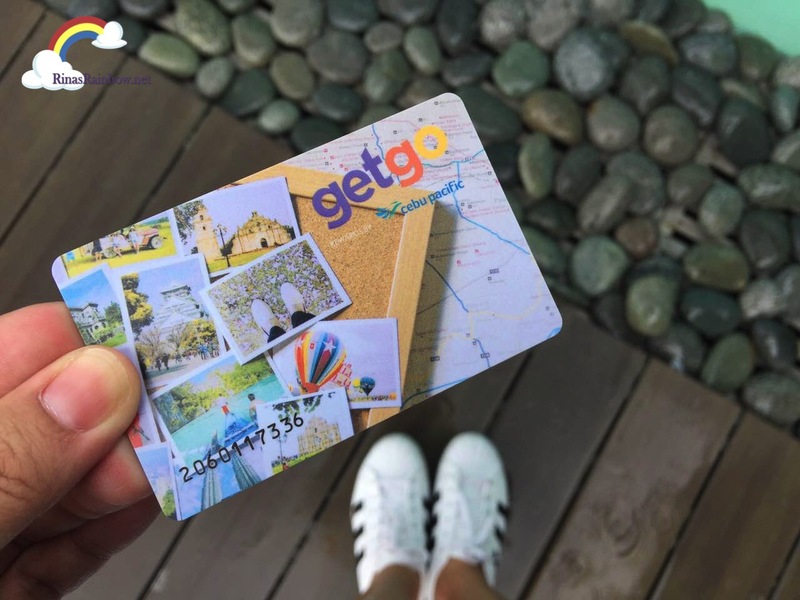 Cebu Pacific GetGo Credit cardholders will also enjoy earning GetGo points at one of the best earn rates in the market: 1 GetGo point for every P30 spent!!! This means you can easily earn lots of GetGo points with each weekly grocery you make. Piece of cake! 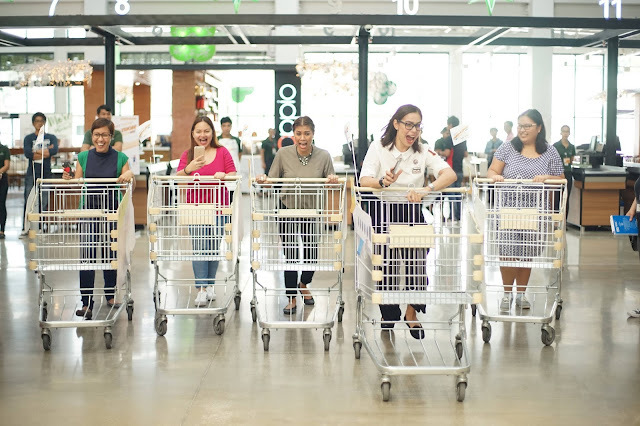 So going back to the contest, as if shopping care of Unionbank and GetGo wasn’t exciting enough, the shopper that has met all the requirements will win a trip to her choice of destination! Landers has so many awesome stuff that you don’t see in your usual supermarket. 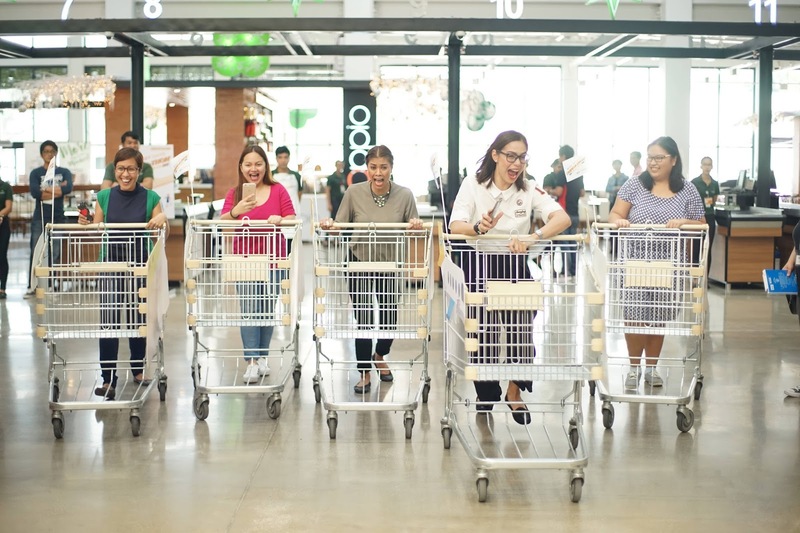 This superstore is huge, with spacious isles, and carry imported items and everything from fresh food, meat, even clothes, hardware, some furniture, appliances, kitchenware, and some very nice TOYS!!! This really made the challenge ever more challenging! I just wanted to get so much! 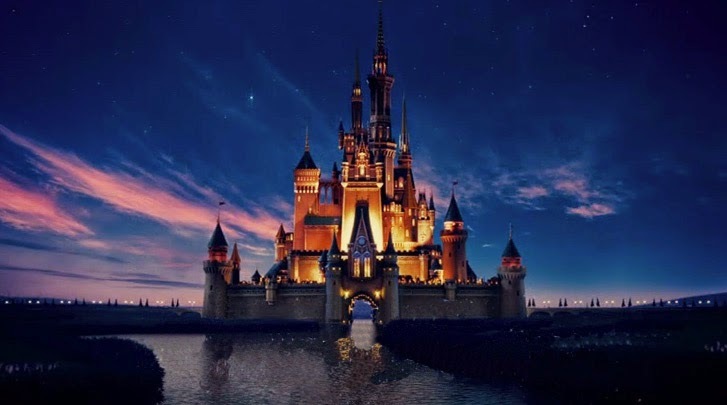 I have to admit, this was an experience that I wish I could rewind not just because it was awesome but because I got so carried away that I totally failed to calculate my total in my head as I was grabbing stuff. I was so focused on the theme, and then halfway realized that I only needed 5. Do'h! And also I was so focused on the “maximum of 20 items” without thinking that my bill was already over. Waaaaay over. (Rookie mistake!) Needless to say, I didn’t win. But it was alright because everyone went home a winner! First of all, we each got our own Unionbank VISA GetGo Credit Cards, our own GetGo cards, and we got to take home our shopping stash! We had the option to just pay for the items that went over budget, or just get the items we wanted. That was a relief since I really went overboard hahahaha! I had so much fun with the girls! They were all so nice! 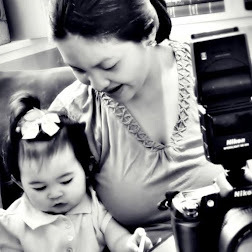 And Suzi and Bettina are one of the most down-to-earth celebrities I’ve met! GetGo and UnionBank’s new series of credit cards, make every day spending transactions the easiest and most convenient way for every Juan to #FlyForFreeFaster to Cebu Pacific destinations. 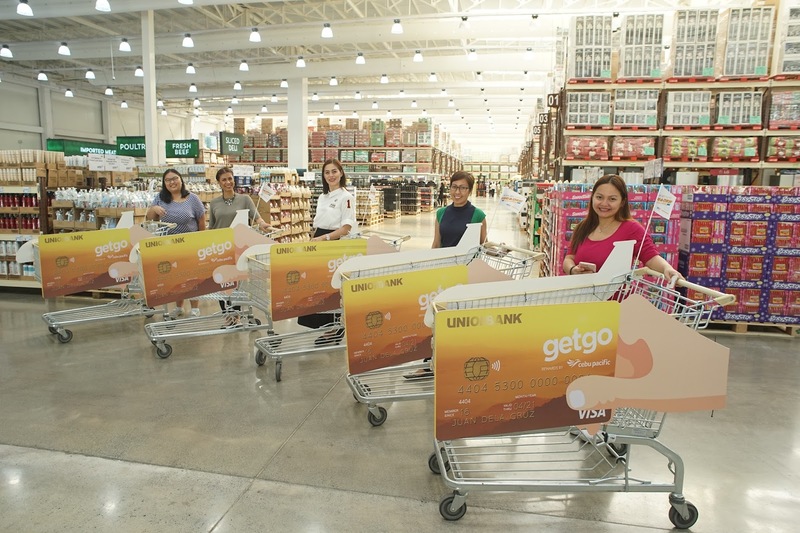 So if you love to shop and wouldn’t mind easily earning GetGo points to #FlyForFreeFaster , Visit http://www.GetGo.UnionBankph.com and apply for a Cebu Pacific GetGo Debit or Credit Cards by UnionBank. Thank you Unionbank and GetGo for having me for this awesome experience!!! I will never forget it! 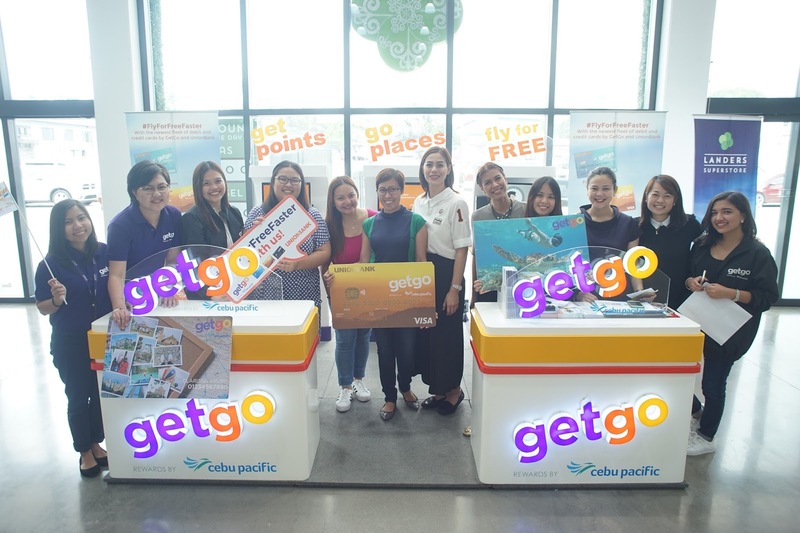 GetGo is the newest lifestyle rewards program by Cebu Pacific that gives its members free flights just by flying Cebu Pacific and from everyday spend. The program provides loyal members points through various ways, wherein these can be used to buy free flights and add-ons in Cebu Pacific. Ang saya, swipe-a-thon talaga :) Nice seeing you and Rain yesterday.